Families favor this spot that looks like a big brick ship docked in Boston Harbor. It's close to great group outing locales like the New England Aquarium and the shops and restaurants of Quincy Market. Even the North End isn't far, if you're willing to walk for a few minutes. Manicured Christopher Columbus Park is right outside the door, with weaving walkways and wisteria-covered archways. YOU SHOULD KNOW If you're 62 or older, be sure to ask for the senior discount to get 15% off your stay. Guest rooms have ergonomic furnishings and luxe bedding with crisp white linens, and open to a five-story atrium. A chair and ottoman provide a spot to chill out. Some rooms have views of the park, harbor, or the aquarium. YOU SHOULD KNOW Clean-freak alert: plush feather duvets on the beds are changed every night. Bathrooms are classic Marriott style, and some have full bathtubs. All come with Aromatherapy Associates amenities and a hair dryer. The lobby is quite beautiful, with a huge, white atrium wrapped in multiple levels of walkways. There's also a library area, with books and plenty of comfortable seating. Want to skip waiting in line? 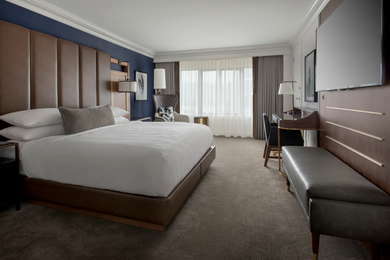 The Marriott Long Wharf allows guests to check-in and unlock their room via their mobile app. 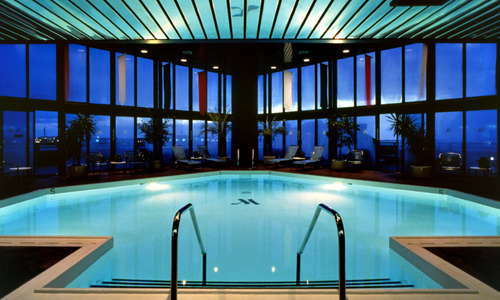 There is a spacious indoor swimming pool. 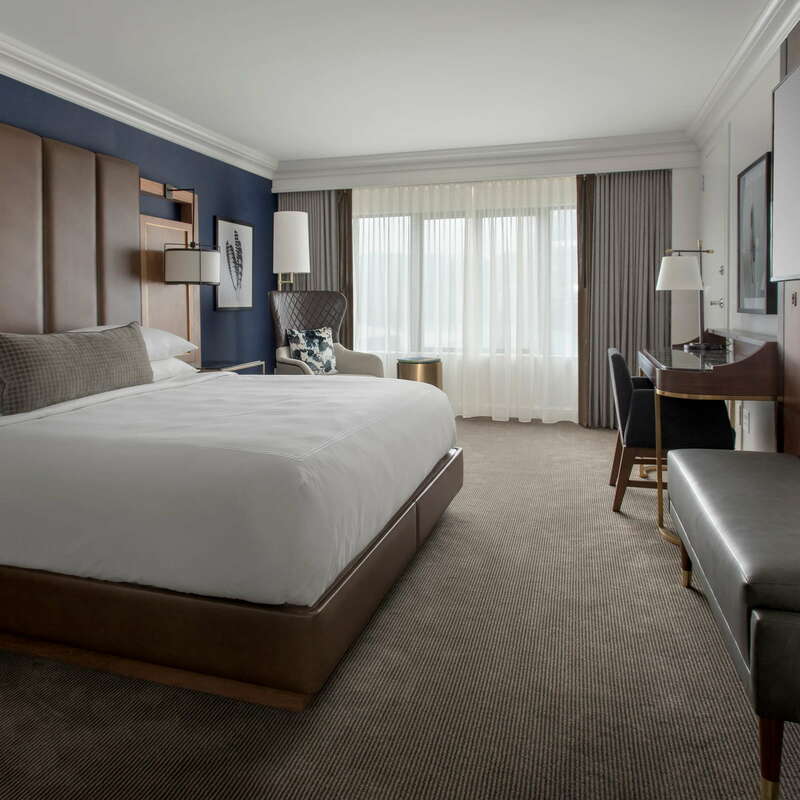 The fitness center at the Marriott Long Wharf has plenty of cardio machines and free weights, and recently added Peloton Bikes with USB ports, Bluetooth synching, and over 4000 on-demand classes. 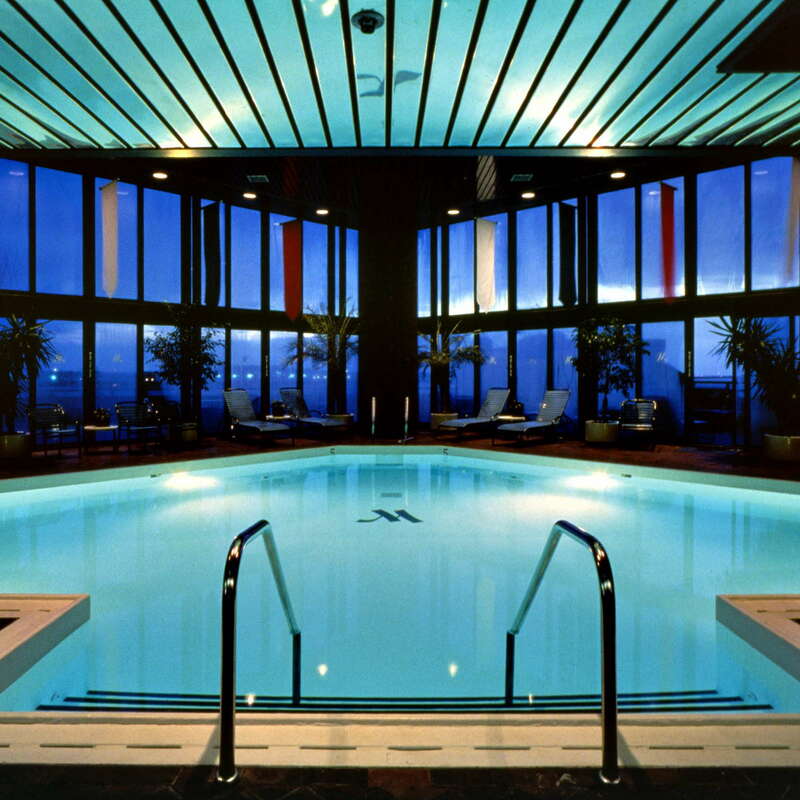 YOU SHOULD KNOW The gym is only available 24/7 to guests with special privileges. You can also grab their jogging map on the hotel website. The on-site Waterline Restaurant and Bar serves 3 meals a day, including a breakfast buffet. The Waterline will prepared a picnic menu for guests who order at least a night in advance. The Waterline Restaurant and Bar is a lobby gathering spot where you'll find plenty of tourists and local conventioneers. 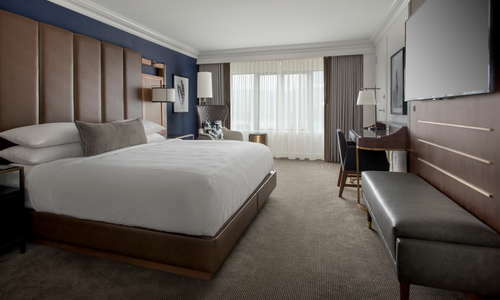 For guests looking to visit Downtown Boston's many tourists spots on foot, the Marriott is a great option. While many attractions are reachable on foot, guests can also hop onto the MBTA Blue Line at Aquarium, or Haymarket if they're willing to walk a little farther. If you dare to travel by car, expect serious traffic during rush hour. State Street Provisions (<1-minute walk) is a delicious American restaurant with plenty of seafood and raw bar options just across the way from the Marriott. There's also casual spots like Granary Tavern (3-minute walk) and Central Wharf Co. (4-minute walk) nearby. The Black Rose (4-minute walk) is a classic Irish bar with live music around the corner. Turn toward the North End and head to Tia's (2-minute walk) for a popular open patio on the waterfront. 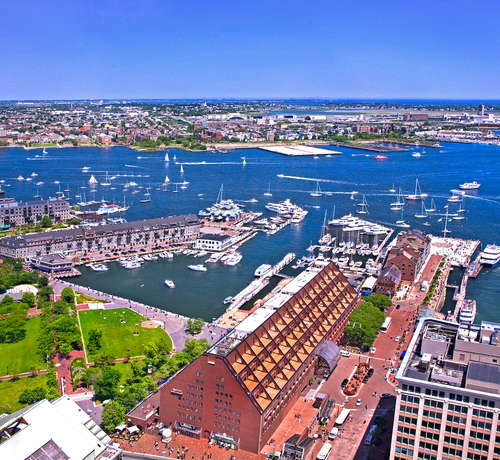 The Marriott Long Wharf caters to visiting families in the area to see the sights.